Let me explain just how we got to where we are in Kashmir today. Days before Burhan Wani, the poster boy of Kashmir's new-age militancy, was killed in South Kashmir, in a remote village of Lolab in North Kashmir, a family was hounded by a crowd of over 5,000 people over rumors that the head of the family, Doda Khan, was an army informer and helped troops to kill a militant during an encounter. I visited Doda Khan's abandoned home. The two-storey wood and mud house is not even 50 meters away from the army camp. But this proximity could not give any sense of security to the beleaguered family who have gone into hiding to escape the backlash. No one recognized this grim reality of Kashmir until the backlash over Burhan Wani's killing overawed the Valley. There is a debate over whether the PDP- BJP alliance, because of the serious contradictions in its coalition, is also partly responsible for the unrest and growing unease in the state over the last 1.5 years. I had written about the possible impact of this alliance two months before Mufti Mohammad Sayed formed the government with the BJP. The only incident I have closely followed was the death of Reyaz Ahmad Shah, a private security guard at a bank ATM. He was killed in Srinagar last week. Everyone in the police refused to believe the family's version that Reyaz was killed by security forces in cold blood near a CRPF bunker on late Wednesday evening. Then the postmortem revealed how a full cartridge of pellets was pumped into his body. Reyaz was returning from his work on a two-wheeler when forces stopped him, put the shotgun on his abdomen and fired. Over 300 pellets were found inside his body. There are still no answers for why Reyaz was killed.There were no clashes, no stone-pelting or protest that could have been a reason for his killing. It was deliberate murder. After the post-mortem, a case under murder charges was filed against unnamed security forces. It was the first FIR against security forces after 52 civilian killings, but no one believes the guilty will ever be punished. The government is hoping that the situation will improve because fatigue is bound to set in among the protesters with the passage of time. they believe people cannot afford to live in such a situation for too long. They act as if the onus is on the people to bring normalcy. After all, who is suffering, losing lives, getting blinded and maimed? Whose schools and business are closed? And who is losing the luxury of living without curbs and humiliation? This sadistic optimism is presumably based on the perceived outcome of the 2008 and 2010 civilian unrest in Kashmir. What the government is not realizing is that the boys out on the streets today have been schooled in street protests since 2008. They have restarted from where they left off in 2010. They are operating independently, driven by raw emotion, and death doesn't scare them. 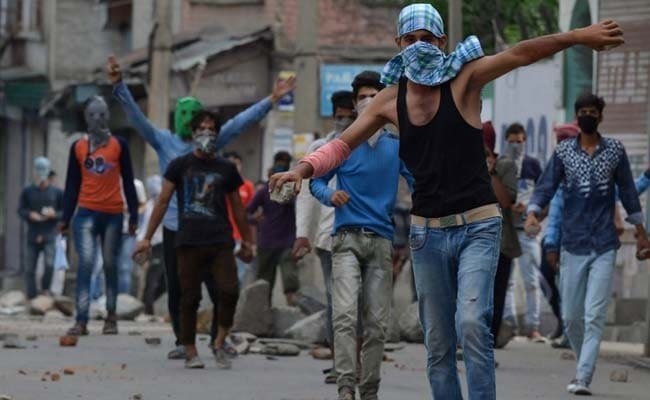 After every death and injury, these boys are challenging security forces with stones in their hands. The everyday images of young men tearing their shirts open in front of armed soldiers and challenging them to shoot tells us how things are going in Kashmir. Even separatist Hurriyat conference leaders are struggling to gain control. They are as surprised over the dramatic change in the situation as the government in Srinagar. Their protest and strike calendars were openly defied. The appeal from the Lashkar-e-Toiba two weeks ago asking people to adhere to the Hurriyat's calendar is a wake-up call for where Kashmir is headed. Militants addressing large public gatherings, people jostling to have a glimpse of them and pledging support to militancy is unprecedented in 27 years of the separatist movement. Even at the height of the uprising in 1990, militancy never got this sort of public endorsement. Again, it was Pakistan-based United Jehad Council chief Sayed Salahudin who asked militants to stay away from public gatherings and rallies last week "because forces are always in search of excuses to shoot down unarmed civilians." It's terrorists and militants who have decided not to addressed rallies, this is not a change brought about by either security forces or the state. 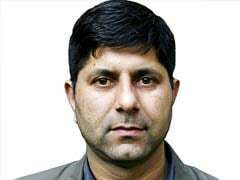 Since this government came to power, it has managed a semblance of calm only because separatist leaders like Sayed Ali Shah Geelani played peacenik. After every killing in an encounter, he would call for a strike only in the area where the incident had happened, and not allow tension to spread to other areas. He strongly spoke against any cow killing when the beef controversy took dangerous communal overtones in Jammu and Kashmir. A Kashmiri truck driver was burnt alive after beef rumors in Udhampur near Jammu and a legislator was beaten up inside the assembly by BJP members. But after Wani's death, the government's appeal to separatists to help quell protests had very little impact. The government is also forgetting that during the 2008-10 civilian unrest, there was a reach-out from and engagement with people at the highest level. In 2010, an all-party delegation knocked at the door of very separatist leader, met with the injured, common people, heard their anger and tried to apply a healing touch. Arun Jaitley and Sushma Swaraj were part of the delegation and there was a sense of empathy. Unlike today, no one tried to demonize the victims. The government at the time started several initiatives of youth engagement and the process of healing. 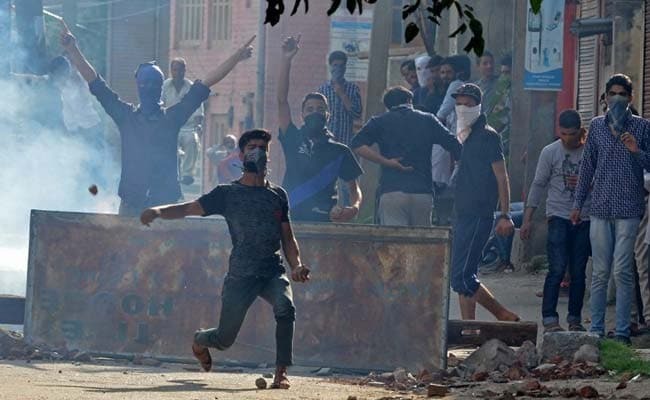 The interlocutors appointed by the central government even declared Kashmir a dispute and talked about addressing the aspirations of people to find a lasting solution. It's another story that like earlier initiatives to find a political solution to the Kashmir issue, the interlocutors' report was ignored by successive governments. After initial blunders then Chief Minister Omar Abdullah also made some course correction, both administrative and political. He questioned state- center relations and raked up conditional accession with Union of India: "Kashmir never merged with the union like other princely states did". This caused a huge furore in Delhi. Omar Abdullah's patriotic credentials were questioned. The opposition in Delhi meant some acceptance for Omar in the Valley at a time when his popularity was at its lowest ebb. Her biggest challenge was to strike a balance between her core constituency and alliance. She has been found wanting. In the course of proving her patriotic credentials as Chief Minister, she has forgotten that earning the trust of the center can't be at the cost of losing the faith of her support base in the Valley. Instead of looking inwards for the reasons behind the unrest, Mehbooba Mufti has blamed Pakistan as the debate goes about whether the violence is orchestrated or spontaneous. The government has repeatedly said Pakistan is fueling trouble and instigating crowds. No doubt Pakistan has always been waiting for opportunities to fish in the troubled waters of Kashmir but my question is very simple: if Pakistan and its prot&#233;g&#233;s in Kashmir are so powerful as to create such massive unrest, why can't their calls for boycotts succeed during elections? The same people who are being condemned today as paid stone-pelters and murderous mobs defied separatist calls and voted in droves. Militarization is not just about the presence of army and security forces but about the militarization of people's psyche. Living under the shadow of gun for near three decades has taken the fear of the gun away from people's minds. The talk about we are all militants without guns is not new in South Kashmir anymore. The situation is also raising the larger question that if the BJP cannot mainstream Kashmir and end separatism, who else can? So far, they were blaming the Congress for mishandling Kashmir, but now they have to answer why they have so little control over the situation. We can all sit around discussing how long this turmoil will continue and when will the government regain control over the streets of Srinagar and the rural areas of Kashmir. But I come back to the question we should be looking at: which way is Kashmir headed? Those with experience in crippling street follow no rule book or organizational hierarchy. Wani was so successful in convincing them that he's fighting for their cause that in his death, he has become a revival point for an aggressively separatist movement. After his death, militants are roaming freely in the streets, but security forces cannot even think about launching operations against them in this situation. Their information network has collapsed. No one wants to meet the fate of Doda Khan.